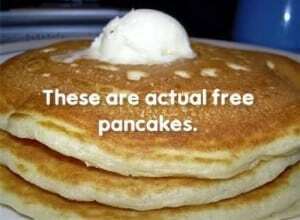 Who doesn’t love FREE stuff? 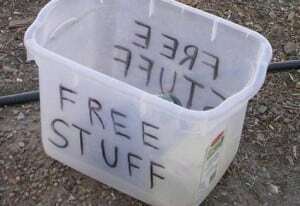 Well, I’ve got more than just "free stuff" to offer. I’ve actually got some incredibly useful FREE stuff for you! If you’re in need of defining your Unique Value Proposition, check out the post Your UVP Here: Your Cheat Sheet For Filling Out The UVP Worksheet for the worksheet. Pinpoint exactly what makes your product or service different in the marketplace to better focus your business, branding, and marketing efforts. Considering running a Groupon? Feel free to take advantage of this incredibly useful spreadsheet from one of Chunk of Change’s most popular posts, GroupOn, GroupOff: Why Your Marketing Money Would Be Better Spent On Skywriting Than On Running A Daily Deals. By entering key numbers, it will help you to ascertain if running a Groupon would actually be beneficial or detrimental to your business, and could save you thousands of dollars. Another offering is a book that offers terrific tips on learning to focus. We’re all pulled in a million different directions in our busy lives, so Leo Babauta offers suggestions for creating "everyday zen." He calls the tome "a simplicity manifesto in the age of distraction." You can find his Zen Habits blog here, or a free PDF version of the book "Focus" by Leo Babauta here. Just so ya know, subscribers get the first juicy scoop on all of the new FREE stuff, so sign up today. Don’t worry: I hate spam, so I’ll never send you any.